When date was this interview? A few nights before their first gig. What day? (I deal in specifics). - Think About You and Don't Cry were written before Slash and Adler joined. We had our suspicions but this is confirmed now. - Ole Beich played no shows. Duff played the first ever Guns N' Roses show. - The band recorded some rehearsals, and just the fact they did an interview seems to imply they were more professional than commonly thought. - Izzy Stranded as spokesperson. No specific date was given in Raz's book. Move to the City was written before those two joined as well. 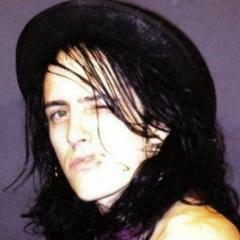 Izzy says "this Tuesday", so I guess the interview took place between 20-24 March. It was most likely at the weekend. maybe ask @recklessroad for comment?? This is a much more gentle post than before your edit. Regardless of whom we choose to believe, the interview itself is proof that Ole Beich didn't play at the first gig, although he was on the flyer. Duff was introduced by Izzy in the interview. Do you think that he would introduce someone who is not in the band? It is not a question of believing (or disbelieving) anyone as this interview consists of predominantly Stradlin speaking about an upcoming show on the 26th March, and that their bass player is Duff - I think he is actually mentioned as the ''new guy'' or something similar. It is irrefutable proof that McKagan was in place before the 26th March. The flyer was clearly printed before the change in personnel. From what I understand it was a handful of local club shows at best.. I would say first live lineup over "touring" lineup. Tracii Guns and Rob Gardner didn't leave simultaneously, and there was some time with Slash on guitar and Rob Gardner on drums (altough a short one). Rob said in the interview he doesn't remember playing with Slash? Hollywood rose reunion/breakup was on Dec 31st, 1984. Tracii/Axl decide to remain as a writing team after the show w/ Ole and Rob Gardner carrying over from LA Guns. This lineup is together (minus Ole) from Dec-early June '85. Ole leaves in mid-march '85 (4 rehearsals). So the 1st iteration of GnR is together as a whole for at least 3.5 months. Duff joins by the end of March and plays the 1st official GnR show. This lineup with Axl, Duff, Tracii, Rob, and Izzy play 5 shows between March and April. Rob leaves either with Tracii or right before Tracii quits in the 1st week of June. After Rob's interview it's hard to say who quit first. 26 March - Troubadour - Axl, Izzy, Ole Beich (Duff), Robert Gardner, Tracii Guns. 11 April - Radio City, Anaheim - Axl Izzy, Duff, Gardner, Guns. 24 April - Troubador - Axl, Izzy, Duff, another drummer (Who is this other drummer? ), Guns. 25 April - Dancing Watersclub, San Pedro - same line-up as above. 27 April - Timbers Club, Glendora - same. 6 June - Troubadour - Axl, Izzy, Duff, Steven, Slash. Question: Is Steven the next to join GnR or Slash? Do they join together? In Steve's book he says Slash called him up to join a rehearsal with the band after Rob didn't show up. In the quotes below, it seems like Slash was the last one to join? We did Guns N' Roses but we also did LA Guns. To me at that point before we did Guns N' Roses, our version of LA Guns was just minus Izzy. When we brought Izzy in, that became a big part of the writing scenario"
"The next week, Izzy called me with Axl and said, 'Look, we're just gonna have Slash come and play the show if you're not gonna show up.' I'm like, 'Whoa. Wait a minute.' As soon as they said that, everything changed." Unbelievable. How long had you been working with Axl when this all came down? "We were going for a year before that went down. Also I would have never known of Phil if it wasn't for Izzy. When we were living together, Izzy turned me onto Girl and that's where Phil came from. So the reality of the two singers in my life were given to me from Izzy." This lineup with Axl, Duff, Tracii, Rob, and Izzy play 6 shows between March and April. Tracii and Axl founded Guns N' Roses on October 31, 1984, the same day Axl was fired (or quit) LA Guns. They don't really do much with the band, though. Tracii has mentioned saying they even considered it a label and not a band. Mike (Jagosz), the singer in L.A. Guns after Axl, would refer to it as a "jam band". When Mike leaves L.A. Guns in March 1985, Tracii needs a new singer fast, they have a gig at the Troubadour coming up. Tracii asks Axl to come back, Raz (according to himself) suggests to do this under their "Guns N' Roses" name, and to bring in Izzy. So the first lineup of GN'R is Axl, Tracii, Izzy, Rob and Ole. Ole is fired very quickly, Izzy then suggests to bring in his neighbor Duff. This new lineup then records a demo in Willie Basse's studio which is later played when they do their first radio interview (topic of this thread). A few days later, March 26, they play the aforementioned Troubadour gig. They plays some more gigs but things doesn't work out really well. Tracii is bitter because the focus is on Hollywood Rose songs and not on L.A. Guns songs. Tracii is then either fired or leaves the band. A few days later, Rob quits in loyalty to Tracii. Now Axl can bring in Slash. Yay. With Slash comes Steven. Axl is more lukewarm to Steven, he even have to audition and the band tests out other drummers, too. First when Steven is willing to do the Hell Tour on very short notice (they ask him the day before), is he considered a member of the band. Thanks for clearing that up. So much happened in such a short amount of time w/ GnR's formation. Is Ole fired or does he quit because he thinks GnR isn't metal enough for him? I remember reading an old interview here that stated as much. Where do you stand on the Michelle Young story that Tracii always mentions as the reason he starts to lose interest in the band? Basically he can't deal with Axl's moodiness and as per him, that's the main reason that he leaves. I will remain a fan of Ole Beich till it's time for my dirt nap. [...] I still miss the guy and feel awful that he didn't seem to care enough at the time to make sure he stayed in Guns N' Roses. Unfortunately, at times the dude could be a real downer, sullen while keeping to himself [...] A few years earlier also briefly in the iconic Danish black-metal band Mercyful Fate, Ole's history repeated when he played with Guns N' Roses for their first two rehearsals. And that was it. After that second practice, another rehearsal was set for a tentative "in a few days." Ole neglected to tell anyone of his newest girlfriend, so when the next practice got scheduled, there was no way to get ahold of him. After three days of not hearing from him, and rehearsal scheduled for the following evening, Izzy said, "If Ole doesn't want to be in the band, there's a guy who lives across the street from me who'll do the show." [Raz Cue, "The Days of Guns, & Raz's", 2015, p. 199]. It is impossible to gauge Ole's real interest. I think it is likely he wasn't hugely interested in the band, otherwise he probably would have made sure they could get in contact with him. When Raz told him he was fired, he was surprised but "didn't argue or even asked me why until years later". Tracii gives two explanations for why he quit the band: The "extraordinary fight" with Axl over Michelle Young, and Axl starting to talk too much during the concerts leaving less room for music. Raz, on the other hand, gives the explanation that Tracii was gradually becoming distanced from the band due to a predominant focus on songs by Izzy and Axl, and not his (Tracii's) songs, even to the point of being so sullen he sabotaged songs on stage - resulting in Axl firing Tracii. I suppose it is a combination: Tracii butting heads with Axl and feeling the band wasn't going in the direction he wanted. Whether he quit or was fired is impossible to say, and probably a bit academic. Btw: I am writing on the history of the band, and this is all based on how far I have come today, which is based on interviews and articles up to November 1988 and the first parts of Duff and Steven's biographies. As I get to more and newer sources, I expect my conclusions to change accordingly, although I do feel older sources (closer to events) are more trustworthy than later interviews and especially biographies that usually are very carefull written to support some agenda. As for Raz' book, I really felt it was more trustworthy than most of what I have read. I have not started reading Canter's book again for this history project. It will probably throw a lot of light on these events, too. If you are interested, you can read what I have got so far here: http://www.a-4-d.com/t2847-the-history-of-guns-n-roses#11228 but please keep in mind that this is very much a work in progressed. What I hope to achieve, though, is a presentation about the history of GN'R focused on their own words, and not so much an author trying to piece together story and cherrypicking quotes. I will use all existing sources and just see what comes out of it. have you guys actually listened to the video? Raz says it clearly..."the first night of spring" of 1985....the night between march 21st and 22nd! there you go! btw, the (re)surfacing of Raz Cue's accounts and details really shed new lights about the early days and actually made some pieces of the puzzle finally collide!